Feria de Mataderos – Buenos Aires, Argentina | rubybeanx. If you’ve come to Argentina as a food and wine lover, oh boy you’ve come to the right place. Without sounding like I’m repeating myself, the beef is the shiz. Move over USDA grade cows, move over Australian angus cows – the grass fed happy cows from the time-honoured gauchos of Argentina is where it’s at. A gaucho in case you’re unsure is a cowboy, and these guys have a long and very proud history of being the brave macho men of Argentina; responsible for the herding and care of cattle. There’s a fair (feria in Spanish) that’s held on most weekends near Buenos Aires that celebrates these cowboys, and invited to the party is a HUGE barbeque cook up, an amazing range of Argentinian delectables, beauty queens, folk musicians, tango dancers and tiny horses. 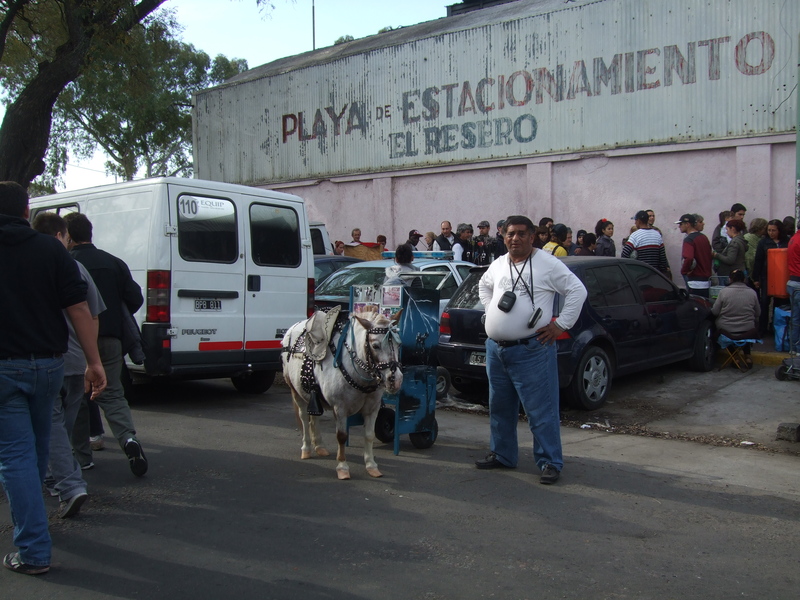 It’s called Feria de Mataderos and it’s located about an hour west of Buenos Aires. 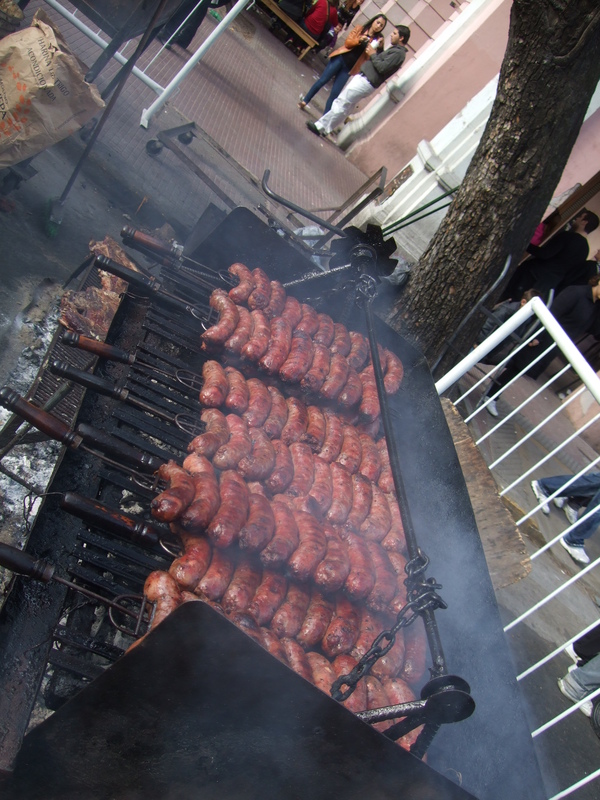 If you’re short on time in Buenos Aires and want to taste the entirety of the country in one go, go to the Feria de Mataderos. It takes out an entire day, but it’s food tasting efficiency and a great way to absorb some of the local culture outside of the big city. Dulce de leche – an incredibly creamy caramel that’s pretty much found shoved into anything in Argentina. 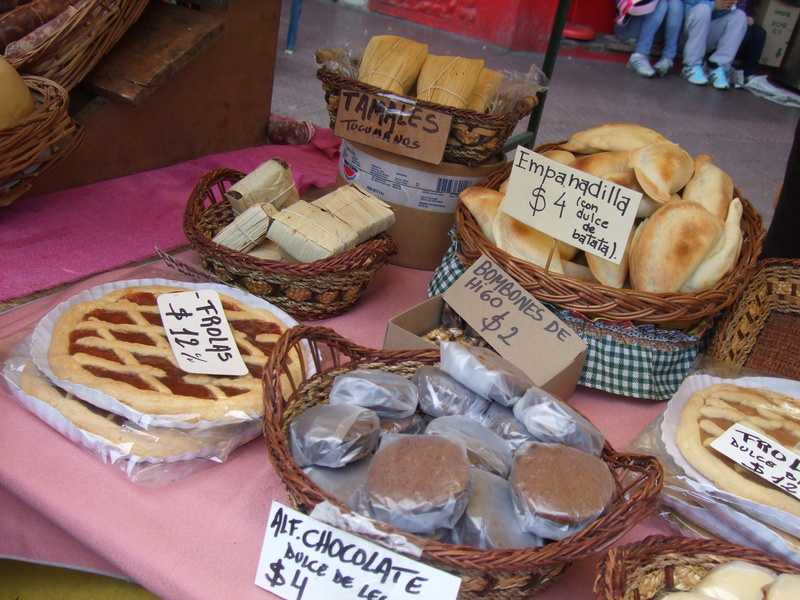 Humitas – a corn based steamed cake like thing that’s wrapped in a corn husk that’s native to Northern Argentina. 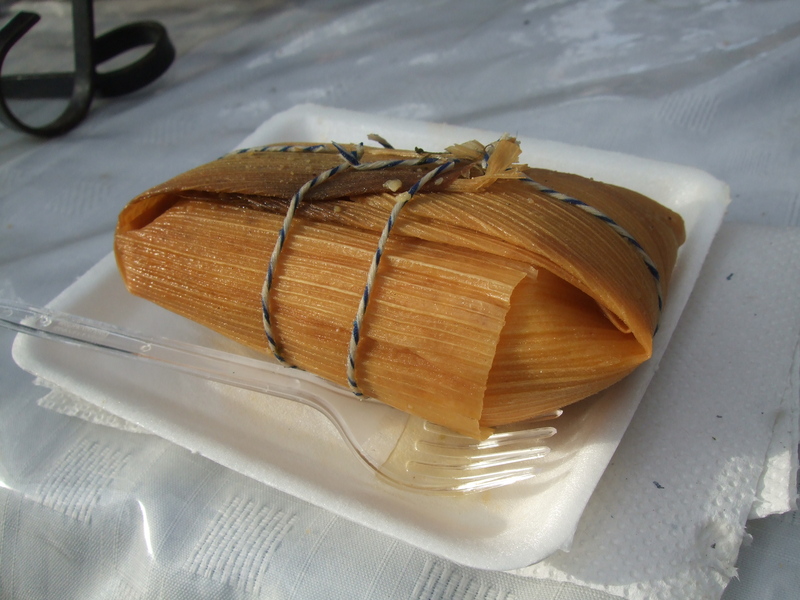 It’s much tastier than I make it sound – similar to tamales. Choripans – pretty much a super tasty sausage served in a sandwich with optional chimichurri – which is a sauce made from a variation of fresh parsley, oregano, garlic, chilli and olive oil used on grilled meats. It’s pretty much the best thing on Earth. Empanadas – a delicious and popular pastie often filled with queso y jamon (ham amd cheese), pollo (chicken), carne (meat – beef) or whatever else in Spanish that I couldn’t really understand. You get the picture. Inbetween stuffing yourself silly, you can admire the gauchos riding around, “aww” at the aforementioned tiny horses, wonder at the unusually large number of abandoned cars by the side of the road, gross out at the public toilets and go shopping for some of the highest quality leather and metal wares made by generational tradespeople. It’s a lot to take in, and there’s a lot of delicious food to eat, so get there early. Also, the bus stop to go home is a block away in a pretty creepy area, so roll yourself outta there and onto a bus home before dark. Take the 155 or 126 bus there, takes an hour. The feria is huge and most people get off there, you won’t miss it! [Vegetarian?] ok [Vegan?] no [Gluten free?] no [Dairy free?] ok – milk isn’t really that big in Argentina. 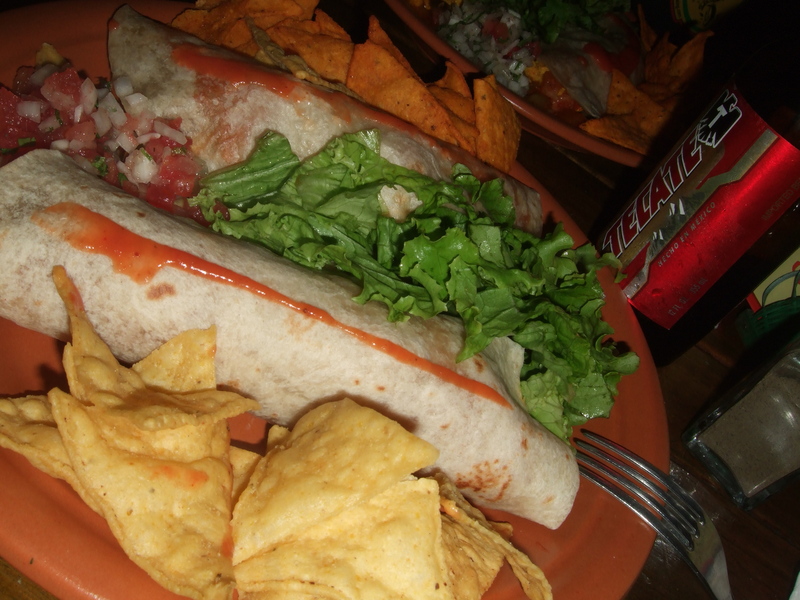 How much money to bring: AR$5 and upwards, depends how much you want to eat! Most snacks AR$1-$8. It’s closed on: it’s usually on Saturday and Sunday, but DO check the website before you make your way there and dates do change often. Don’t: be wary about the hour long public bus ride, think of it as a cultural adventure…! 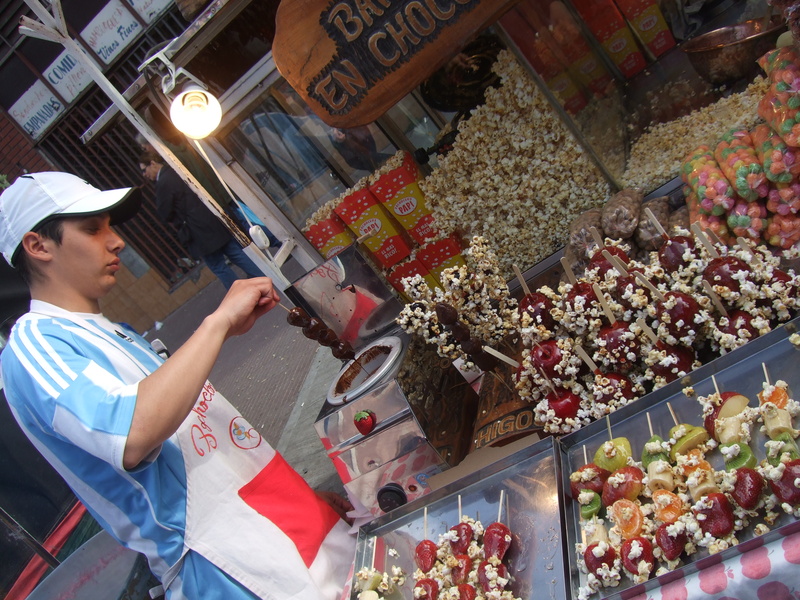 And plus cheap as chips bus ticket = more monays for Argentinian snacks! Oh, and try to find a seat and hold on. Tags: Argentina, beef, Buenos Aires, choripan, market. Bookmark the permalink.